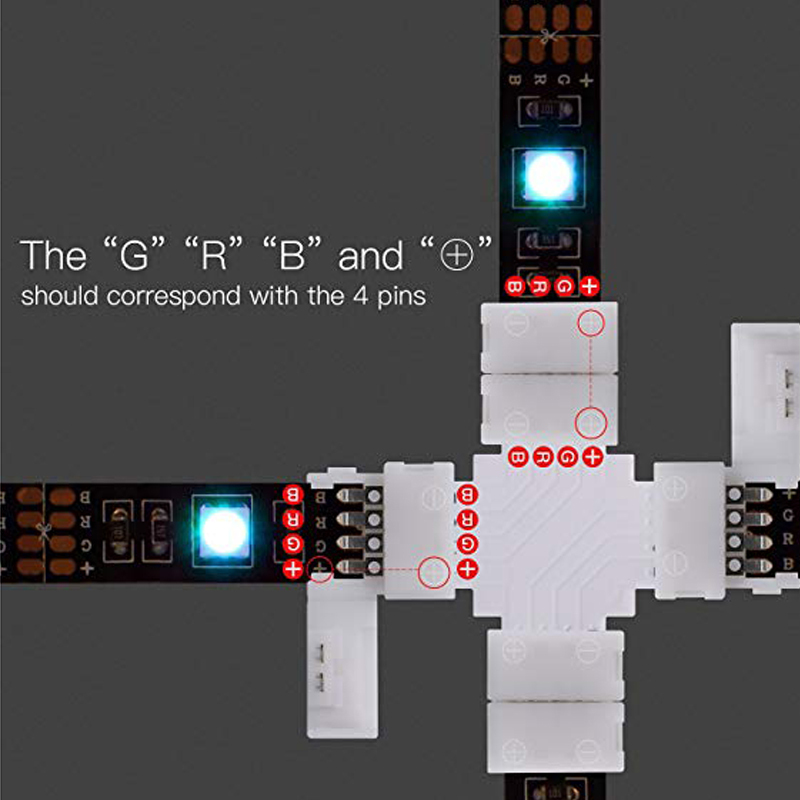 These cross shape connectors for RGB multi-Color light strips. 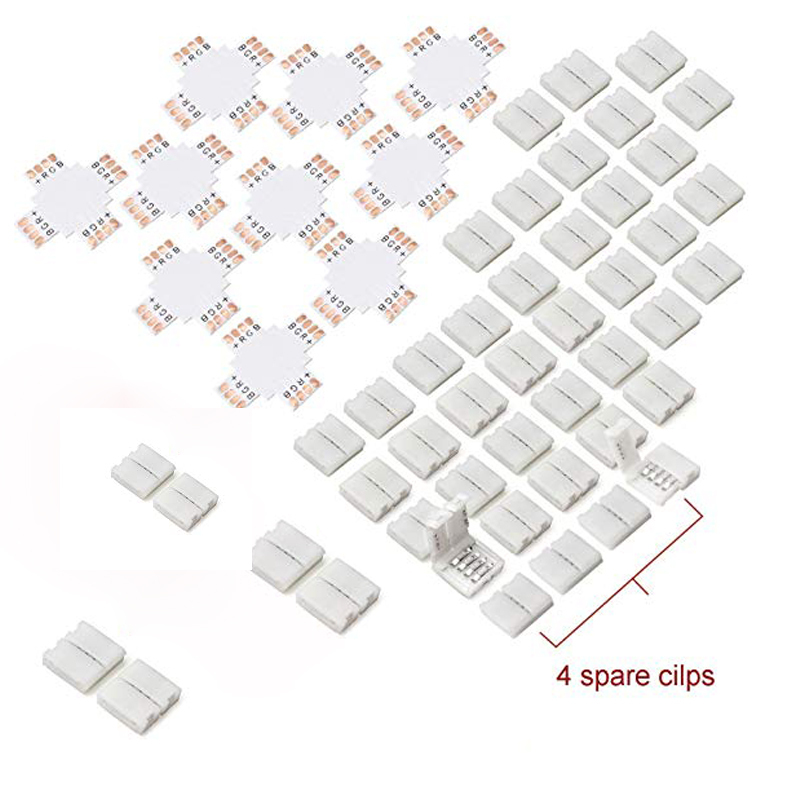 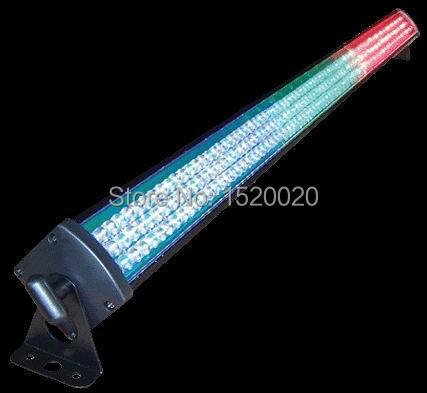 You can attach it with your light strips directly without any tools or wielding operations. 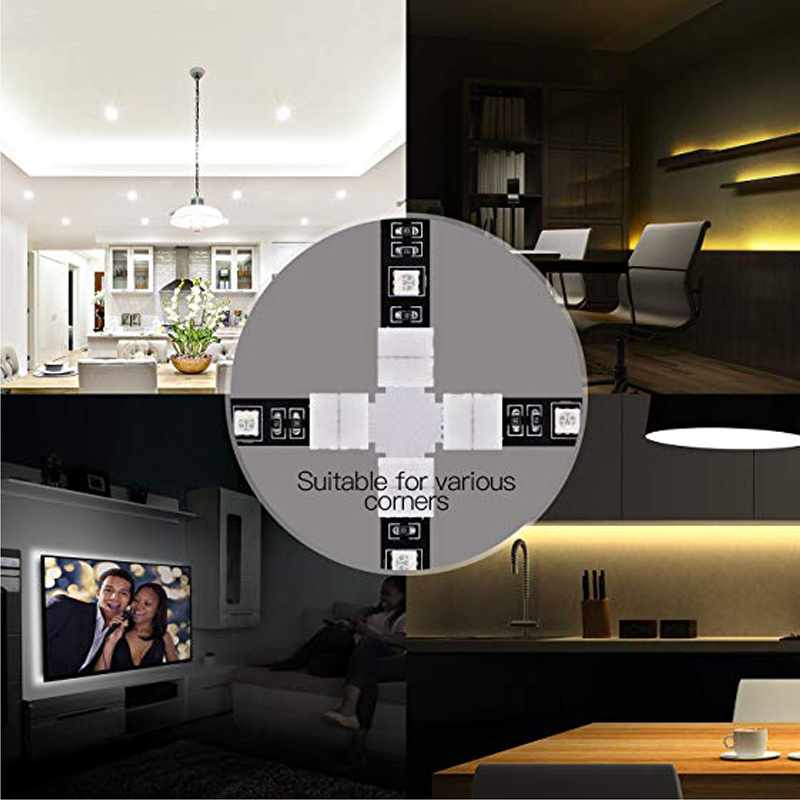 The wireless design ensures seamless layout when you need to spring your light strips around sharp corners. 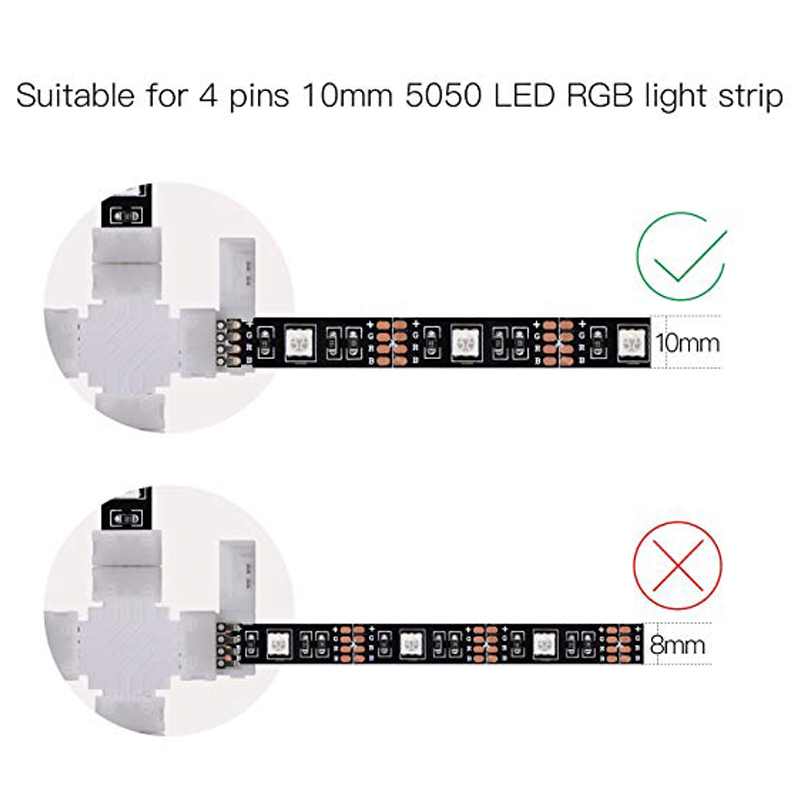 They are compatible with both non-waterproof and waterproof 10mm RGB light strips. 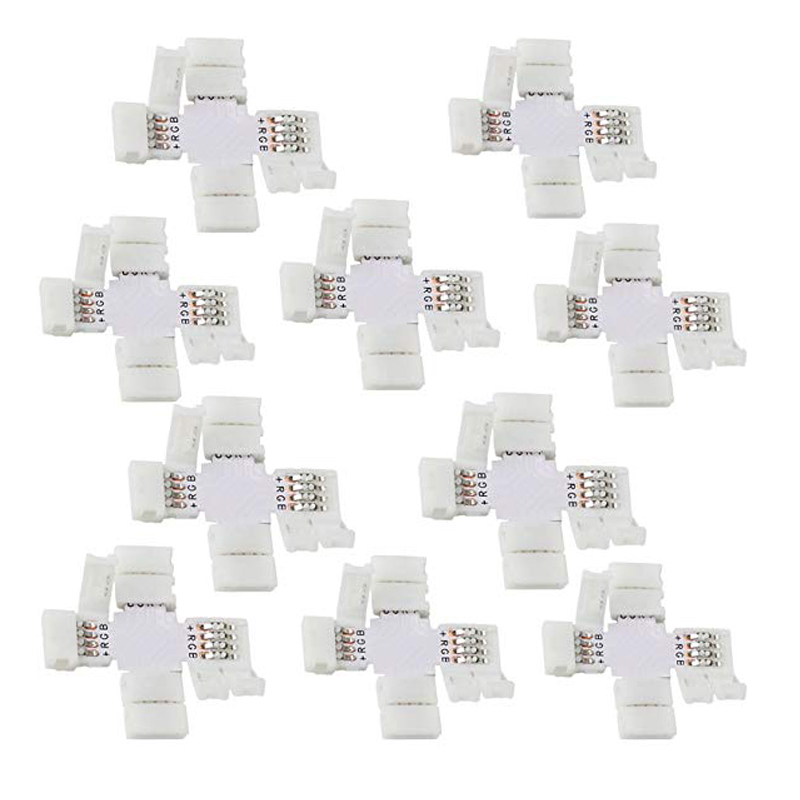 They come with solder on the ends of the bare wires so that made them even easier to work with. 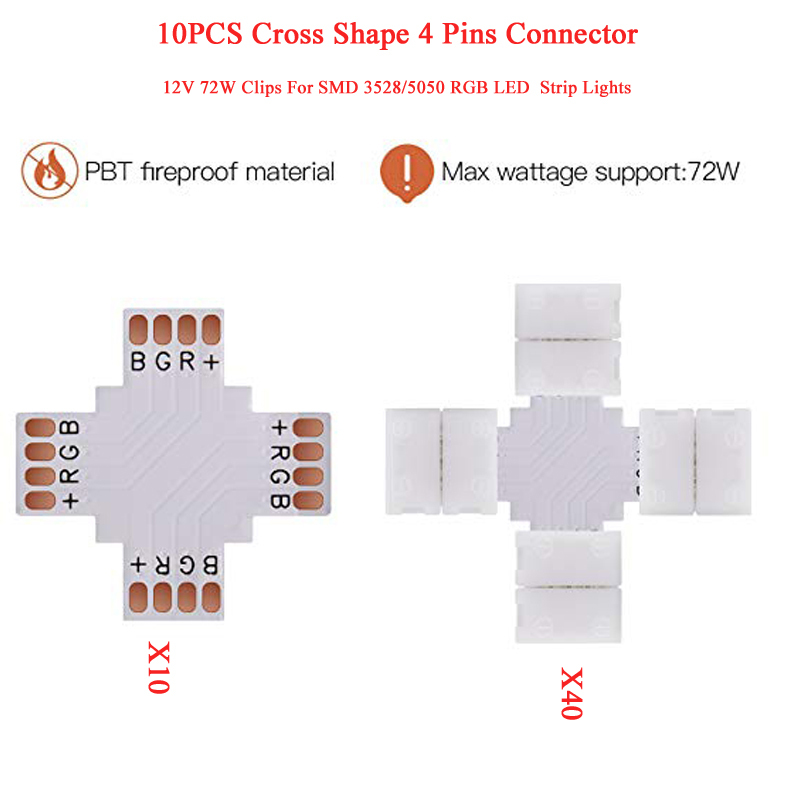 Our connector can supporting 72w wattge. 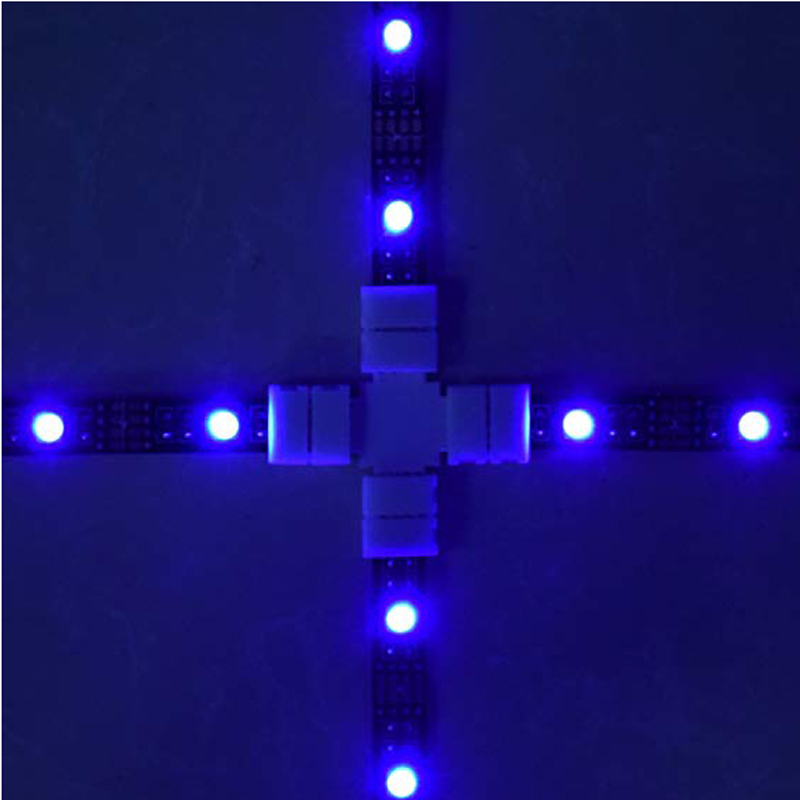 with supporting high wattage, you can not only use low wattge light strip but also hight wattge light strip.